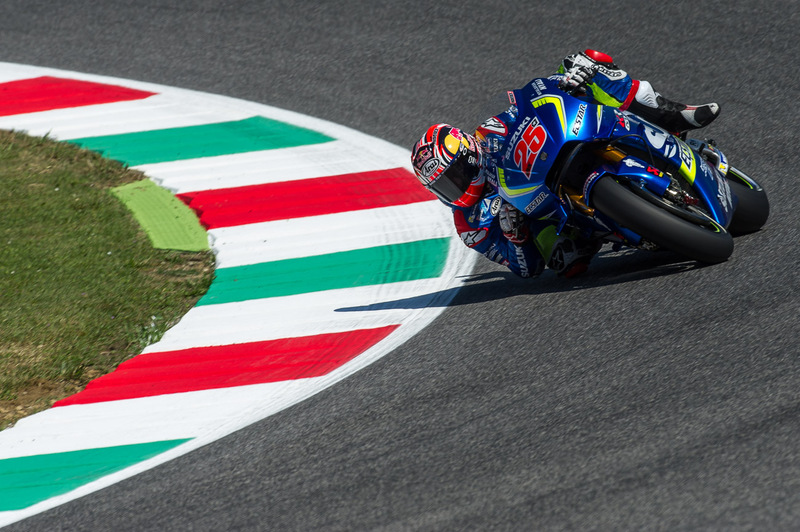 Episode 27 of the Paddock Pass Podcast sees Steve English and Neil Morrison catching up mostly on the MotoGP happenings at the Italian GP in Mugello. Wrapping up what has been an eventful week with the riders’ contracts for the 2017 season, the show then focuses on the racing action in Italy, with mentions about the Moto2 and Mot3 races, which were equally enjoyable to watch. The guys also give some attention to the World Superbike paddock, talking about the series’ recent racing in Sepang, and looking ahead on the calendar for WSBK at Donington Park. With the Isle of Man TT starting this weekend as well, there is plenty of racing action to fuel the Paddock Pass Podcast, so keep your ears tuned for more shows. The Mugello Moto2 Mix-Up: Who is to Blame? The Moto2 class has not had a lot of luck with their starts in 2016. First there was Qatar, where a mass jump start saw some riders called in for a ride through, some issued with a time penalty, and few people very happy about the way it was handled. That situation was all down to a problem with some of the high-speed starting grid cameras which check for false starts. In Mugello there was more starting grid misery. This time, though, the problem was not with jump starts, but with restarts. An interrupted race and a quick start procedure ended up causing chaos, the first running of that procedure catching a lot of teams out, which in turn caused problems for Race Direction. As is their wont, unforeseen circumstances managed to catch everyone out, causing the first quick start procedure to be abandoned, and a regular restart instituted. The reasons for red-flagging the race were sound. Xavi Vierge crashed at the entry of the Biondetti chicane, his bike piercing the air fence, and deflating it. Without an air fence in place, the track was simply too dangerous to continue. 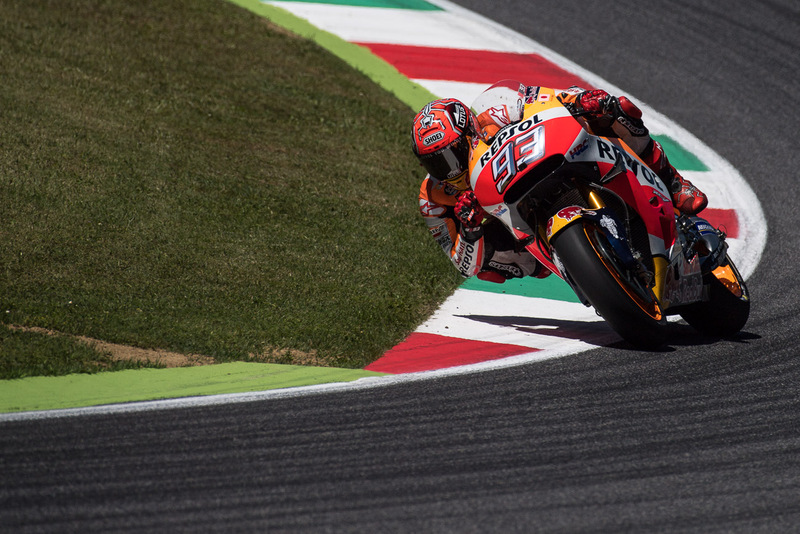 The 2016 Italian Grand Prix at Mugello was many things, but above all, it was memorable. It’s not just that the three races ended up with incredibly close finishes – the margin of victory in Moto3 was just 0.038, and that was the largest winning margin of the three races – but how they were won, and what happened along the way that will leave them indelibly imprinted on the memories of race fans. There was drama, a bucketful of heartbreak, and plenty of chaos and confusion thrown into the mix. If there was a script for Sunday, it was torn up and rewritten a dozen times or more before the day was over. The drama started during morning warm-up. As the final seconds of the MotoGP session ticked away, Jorge Lorenzo suddenly pulled over and white smoke started pouring out of the exhaust of his Movistar Yamaha. His engine had suffered a catastrophic failure. This was a worry, as it was a relatively new engine, first introduced at Jerez, with twelve sessions of practice and two races on it. The other two engines Lorenzo had already used had 21 and 23 sessions of practice on them, and had also been used for two races each (including the flag-to-flag race at Argentina). Though the engine allocation has been increased from five to seven engines for 2016, losing engine #3 at just the sixth race of the season could end up cutting things rather fine by the time we reach Valencia. 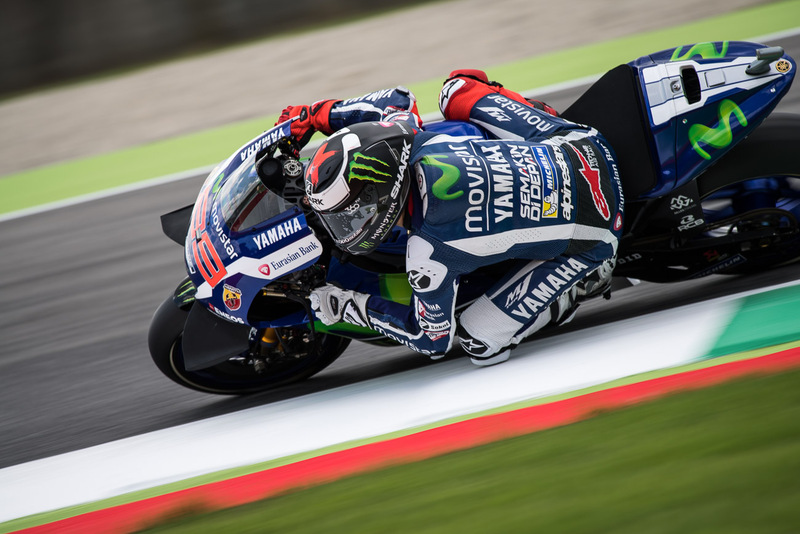 Losing an engine so soon before a race seemed like a stroke of incredibly bad luck for Lorenzo. In fact, it would prove to be exactly the opposite. Every year at Mugello, Valentino Rossi and Italian designer Aldo Drudi come up with a special helmet design for Rossi’s helmet. They vary in originality and ingenuity: my own personal favorite by far was the helmet from 2008, which featured Rossi’s face on the top, wide-eyed with the terror he felt braking for the first corner at San Donato, one of the highest speed approaches on the calendar. Others have varied from the obscure and personal, to the entertaining or passionate. Most people have their own personal favorite, a few curmudgeons find the whole idea rather pointless. Rossi’s helmet for this year, features a simple design, based on a pun in Italian. 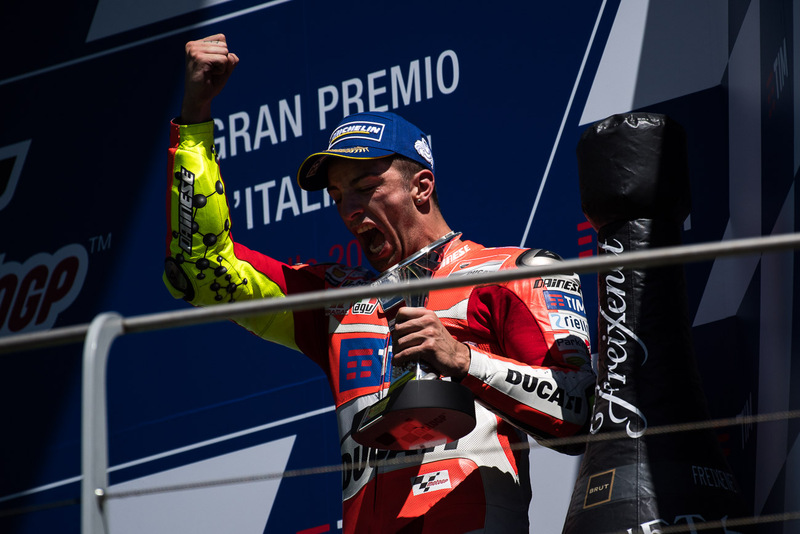 His AGV Pista GP helmet is yellow, featuring an outline of the Mugello circuit, and the word “MUGIALLO” around the front. “Mugiallo” is a play on the words Mugello, the name of the circuit, and “giallo”, the Italian word for yellow. Rossi’s tribal color is yellow, his fans call themselves “Il popolo giallo”, or The Yellow People. The press release from Dainese described it as a tribute to the circuit, and to Rossi’s fans. Is that what it means to Rossi himself, though? On Saturday, Rossi made his helmet look more like an act of appropriation than a tribute. 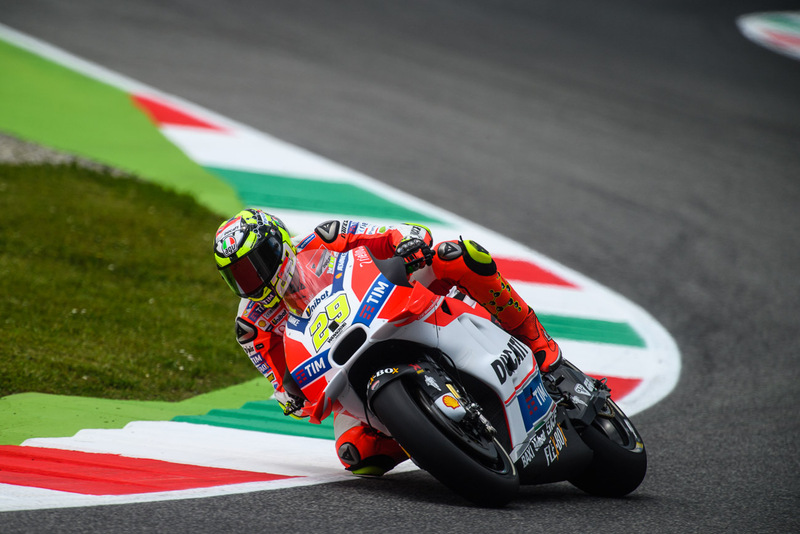 Rossi’s searing qualifying lap laid bare his intentions: Valentino Rossi laid claim to the Mugello circuit. He came here to win. “This morning was not Mugello weather,” joked Pramac Ducati team manager Francesco Guidotti when we went to speak to him on Friday evening. It was cold, wet, and overcast, with a track still damp from the overnight rain. The Tuscan sun stayed hidden behind the clouds, lending no hand in burning off any water on the track. It was that horrible half-and-half weather that teams and riders fear so much, a completely lost session in terms of preparing for the race. It was also precisely the kind of conditions that had prompted the return of intermediate tires. 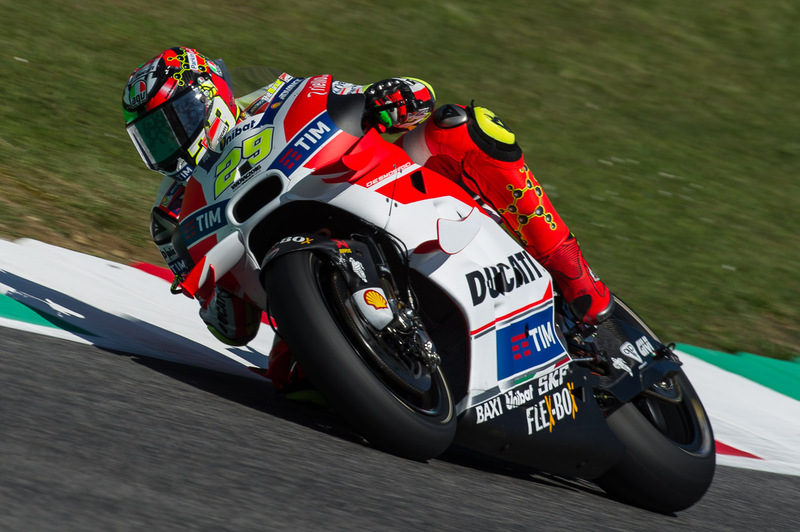 Fearing empty tracks – and consequently, dead TV time – Dorna had asked Michelin to produce tires that might tempt riders out on track, give TV viewers something to watch, and TV commentators something to talk about. It didn’t really work. At the start of MotoGP FP1, a group of riders went out on the hard wet tires, switching to intermediates as the track started to dry out a little. But it was still only about half the field, the rest preferring to remain safely ensconced in the pits, only venturing out at the end of the session to do a test start or two. Why, fans and journalists alike asked, did the riders not make use of the tools they had been given?